Ultimately, we want to create a product that is tailored to your specific needs. Whenever we work with you on a project, we want to create a space solution that leaves you 100% satisfied. That is why we love our modular office under a mezzanine product so much. 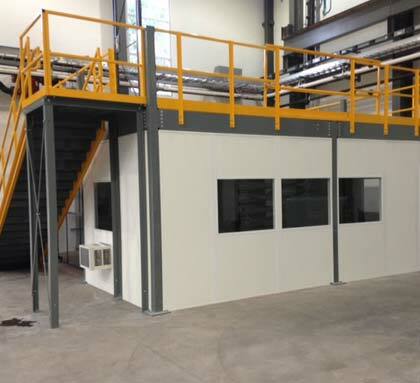 It offers a number of different advantages in comparison to just a modular office or a mezzanine alone.